Kenyan 1500m Champion Hellen Obiri (KEN) ran the race of her life to win the IAAF Word Indoor 3000m gold with a fantastic last 1000m in Istanbul. Christine Ohuruogu, Perri Shakes-Drayton and Nicola Sanders helped the British women’s 4x400m team to gold over USA and Russia while Andrew Osagie (GBR) got his first major medal with bronze in the 800m. The 3000m was meant to be a celebration of Meseret Defar’s fifth World Indoor 3000m title. Hellen Obiri didn’t read the script. After opening kilometers of 3:01 and 2:56 Defar moved to the front and stretched out the field with a move that looked to be decisive. With 400m to go Obiri moved clear in 2nd position and started closing the gap on the defending Champion. As the bell sounded for the last lap the gap was closing fast and with 120m to go Obiri unleashed her finishing kick to pass Defar and come home to win in 8:37.16 with Defar 2nd just over a second behind. 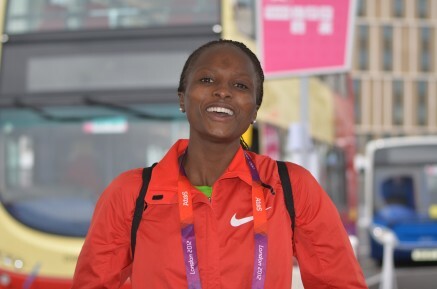 Obiri’s last 1500m was timed at 4:07 (this time was faster than the silver medal winning performance in the 1500m in Istanbul) with her last kilometer in 2:40. The British 4x400m team was led off by Shana Cox on the first leg who handed over in 3rd place to Nicola Sanders. Nicola ran a solid leg to keep the team in medal contention with a 52 secs split before handing over to 2008 Olympic Champion Christine Ohuruogu. Christine ran one of the best relay legs of her career to pass the Russian and US teams and hand off to Perri Shakes-Drayton with a 5m lead. Shakes-Drayton, the Beast from the East, showed great maturity to hold off individual 400m Champion Sanya Richards with a 51.5 secs split, taking the baton across the line in a world leading 3:28.76. Andrew Osagie won the 800m bronze medal in a tactical final. An opening lap of 29 secs turned the race into a 600m sprint. As his rivals jostled for position at the halfway stage the smooth running Essex athlete bided his time before kicking hard on the last lap to take 3rd in 1:48.92 behind Amman (ETH) and Houlsa (CZE). There was disappointment for World 5000m Champion Mo Farah (GBR) and Commonwealth 5000m & 10,000m Champion Moses Kipsiro (UGA) who finished 4th and 7th in the men’s 3000m. In a scrappy race with a lot of jostling Farah crossed the line in 4th and was later moved up to 3rd due to obstruction by Edwin Soi who was then reinstated so that the original result stood. Commentators though that without the pushing Farah would have been a cert for silver behind Bernard Lagat but it was not to be on this occasion. Matthew Centrowitz (USA) made a brave bid for a medal in a slow men’s 1500m race. He kicked hard with 500m to go and at the bell looking like he could get on the podium but his effort took his toll in the final 100m as he slipped back from 4th to 7th.